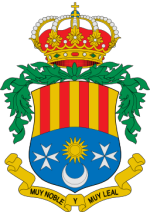 The municipality of Archena is located in a central area of the Region of Murcia at the head of the Ricote Valley and falling within the Comarca of the Vega Media del Segura which follows the course of the River Segura. 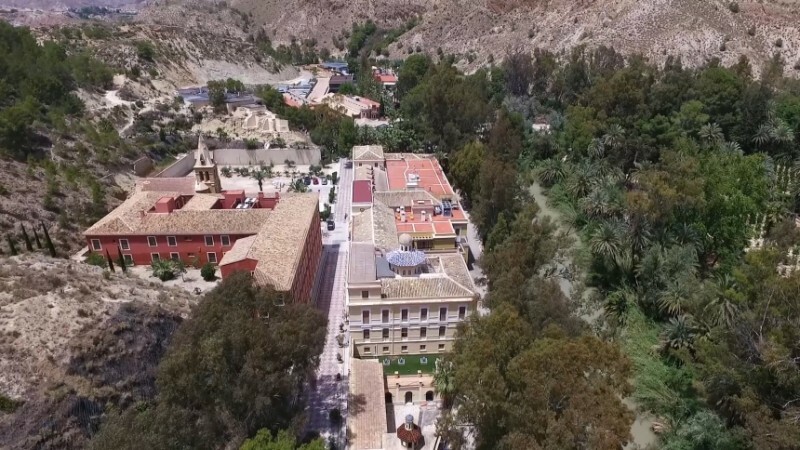 It borders with the municipalities of Villanueva del Río Segura, Ulea, Ceutí, Lorquí and Molina de Segura, covering an area of 1,651 hectares, and its population was 18,559 in 2015. 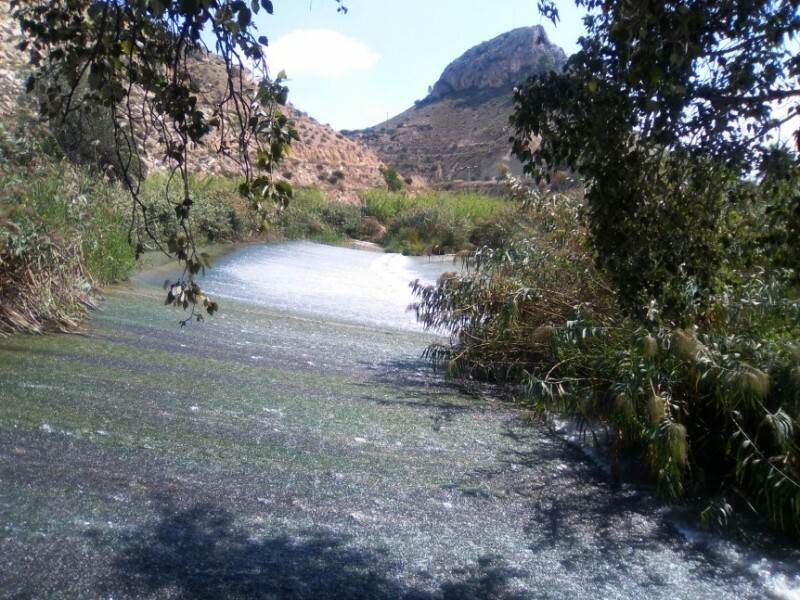 The presence of the River Segura is the defining factor which dictates its landscape, running for a distance of seven kilometres through the heart of the municipality, and Archena has been a lush oasis on the banks of the river for centuries, the availability of water facilitating vegetative growth and supporting agricultural activity. With an average temperature of 18ºC the municipality has long been a focal point for stone fruit production. 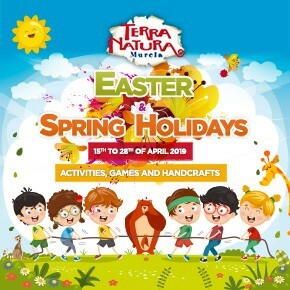 Archena is also famed for its other water source; the Balneario de Archena which offers hot thermal waters to modern-day visitors as it has done throughout its history. 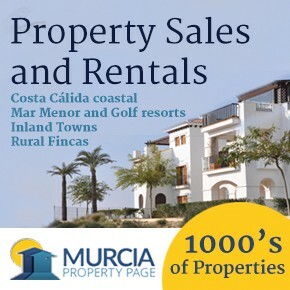 Archaeological remains show that the native Iberian tribes, Carthaginians, Romans and Arabs who successively occupied the Murcia Region all knew about and used, the hot thermal waters of Archena. Occupations by these varied civilisations left their indelible mark on Archena, through from the lush palm trees, figs, irrigation systems and pomegranates brought by the Moors to the structures built by the Romans, although much of what we see today was shaped after the Christian Reconquist of Murcia when Archena became the property of the Christian Order of San Juan. The town itself is full of buildings testifying to the success of the town during the last three centuries; the Iglesia Parroquial San Juan Bautista, la Casa Grande, now the town hall, and the Palacete de Villarías and the area surrounding the town is relatively flat, facilitating irrigated agriculture, the landscape broken only by the Sierra de la Serreta. 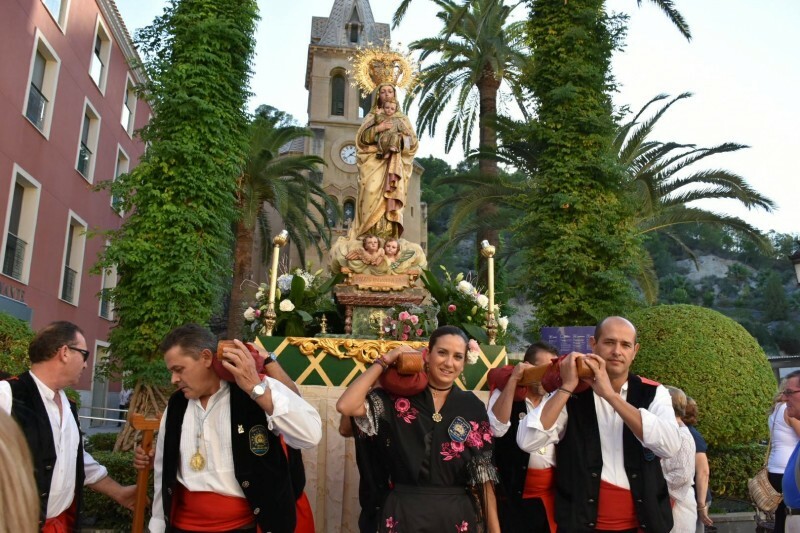 The link with thermal waters and healing is very much a part of the identity of Archena, and this is even reflected in the fiestas of the municipality; fiestas patronales are held in honour of Corpus Christi and the Virgen de la Salud (the Virgen of Health), beginning with a Romería in which the image of the Virgen begins her journey from the Balneario. 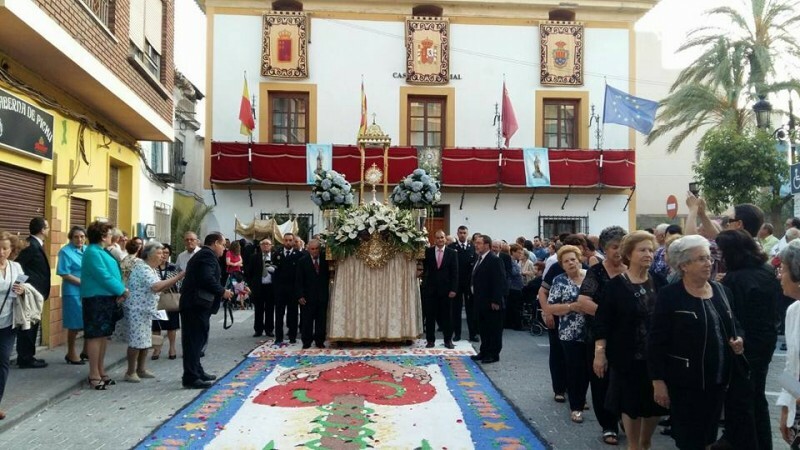 Semana Santa in Archena has been awarded “Regional Tourist Interest” status and the municipality also celebrates its Fiestas del Polvorín, commemorating a massive explosion at a munitions store in 1963 which shook the ground for 30 kilometres around the town. 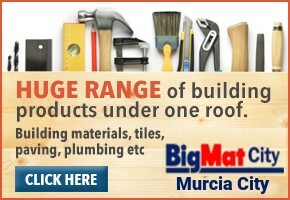 Archena is 24 kilometres from the capital city of Murcia in a central-east position within the Region of Murcia. 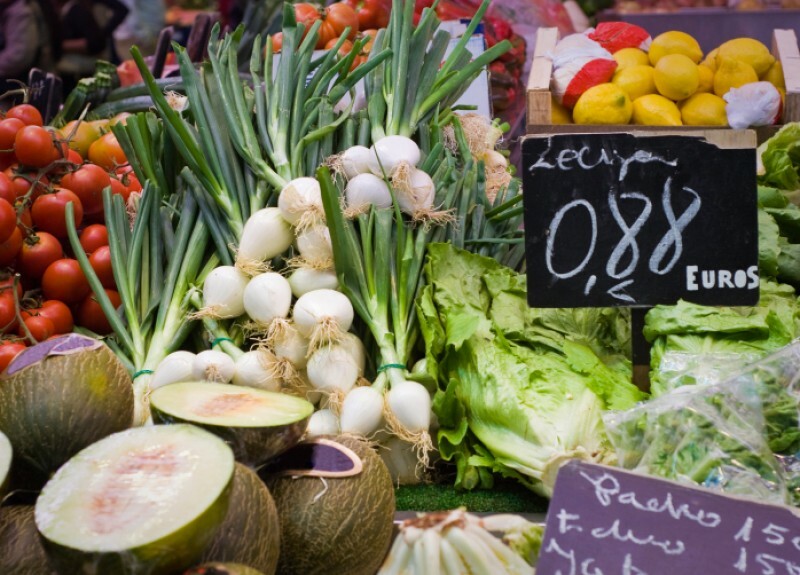 Weekly Saturday market in Archena Fresh fruit and veg and a range of other goods at two Wednesday markets in Alcantarilla For many expats and visitors, one of the great joys of shopping in Spain is the opportunity to buy fresh products and bargain clothes in the weekly local markets.. Annual fiestas in Archena The main fiestas in Archena are held between Easter and the end of June Each town and village in Spain has its own annual fiestas apart from those of Christmas, the New Year and Easter Week, and in Archena, inevitably, the timing, nature and peculiarities..
A history of Archena, a story inextricably entwined with the thermal baths and the River Segura The spa and the river in Archena have attracted settlers for at least the last 2,500 years The municipality of Archena may occupy an area of only 16 square kilometres in the Ricote valley, but it is home to comfortably the largest population of any of.. The municipal sports complex of Archena The Polideportivo is alongside the River Segura in the north of Archena The municipal sports complex of Archena provides facilities, courts and installations for swimmers, footballers and fans of tennis, rock climbing, five-a-side football, basketball..
Museo del Esparto, the esparto grass weaving museum in ArchenaEsparto grass exhibits from traditional baskets to scale models of Archena and a bikini! 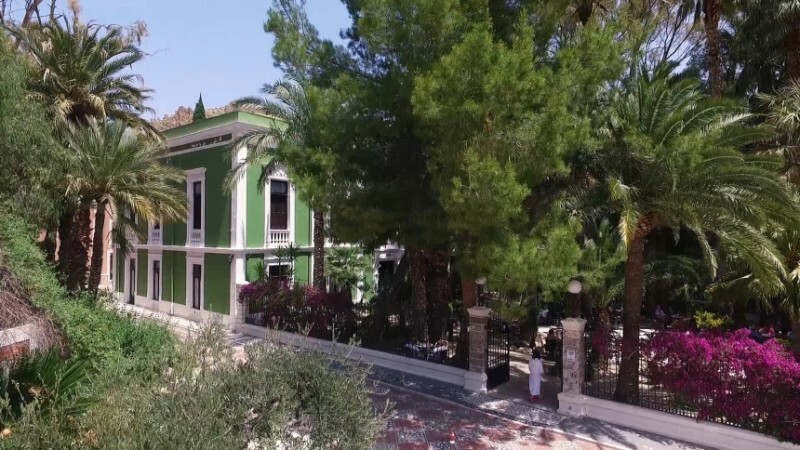 The Museo del Esparto in Archena is housed on the ground floor of the majestic Palacete de Villa Rías, which stands in the middle of the Jardín de Villa.. 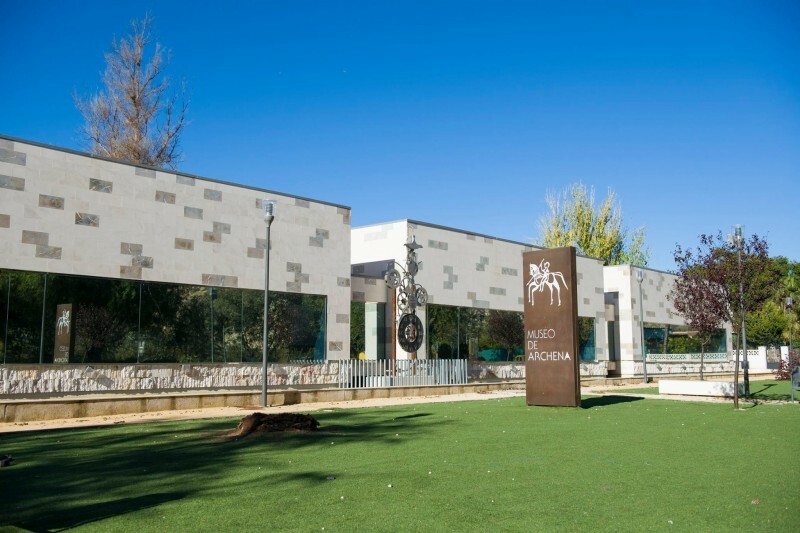 The tourist office of Archena Archena tourist office shares a building with the local museum The tourist office in Archena is housed within the same building as the local museum, a modern structure on the west bank of the River Segura on the edge of the town. 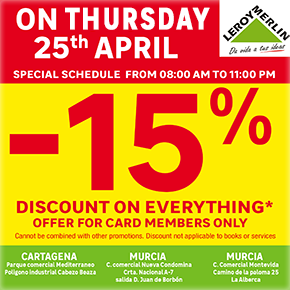 Opening hours are.. The Balneario de Archena thermal spa baths and hotel complex Just a short drive from the city of Murcia, the Balneario de Archena offers thermal spa baths, spa circuit, accommodation and thermal spa treatments The thermal baths complex of the Balneario of Archena has been in use since the time of the Roman occupation.. The church of the Virgen de la Salud in the Balneario of ArchenaThe medieval central European style reflects Modernism in Murcia in the late 19th century The church of the Virgen de la Salud is part of the Balneario de Archena, the thermal springs spa complex which attracts thousands of visitors to the banks of the River.. The Palacete de Villa Rías, home to the esparto grass museum of Archena The former stately home and gardens were built by the Vizconde de Rías in the late 19th century The Palacete de Villa Rías is a palatial residence which was built on 5,500 metres of land in the centre of Archena in the late 19th century.. The Casino of Archena in the Balneario thermal spa complex The Casino was built as a place of recreation for well-off guests at the Balneario de Archena The Casino of Archena is one of the collection of buildings which constitute the thermal spa complex of the Balneario de Archena, and was built in the 19th century.. The Castillo de Don Mario in Archena An abandoned modernist monument in Archena with an interesting history! 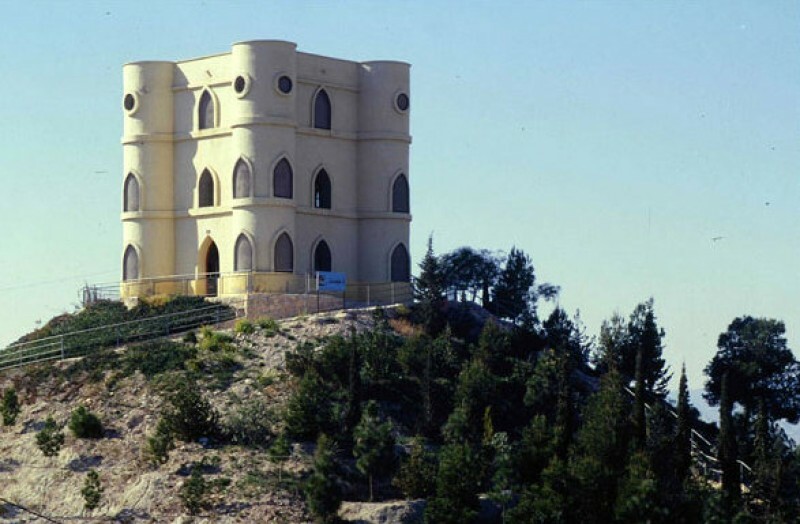 One of the most eye-catching buildings in Archena is unfortunately not open to visitors, and is the “Castillo de Don Mario” in the district which lies in the eastern outskirts.. The church of San Juan Bautista in Archena Centuries of delays marked the construction of the main church in Archena The main church in Archena is located not in the town centre, as tends to be the case due to the historical importance of the centre of Catholicism in most Spanish towns, but at.. The Casa Grande, the Town Hall of Archena The Casa Grande in Archena has been adapted various times since it was built by the Order of San Juan in the 15th century Nowadays the Casa Grande in Archena is home to the Town Hall, and is used purely for administrative purposes, but it has had many.. Treat a loved one to some much.. 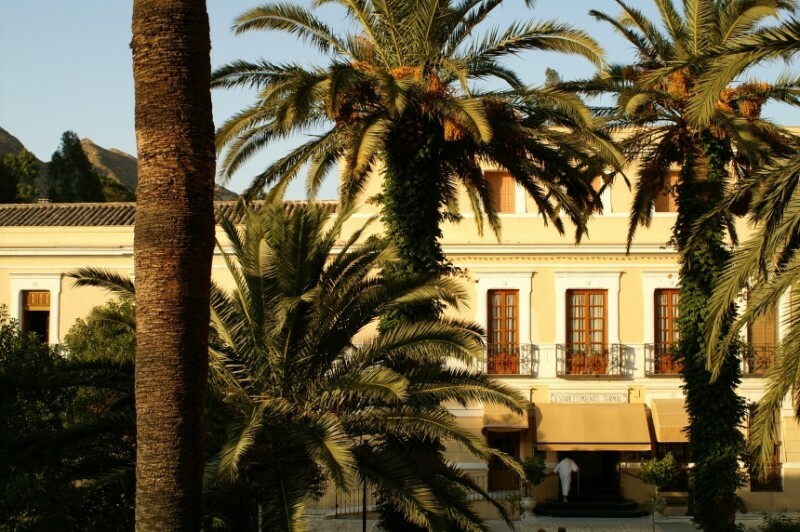 Treat a loved one to a number of beauty, relaxation and short break packages with a Balneario de Archena gift voucher.. 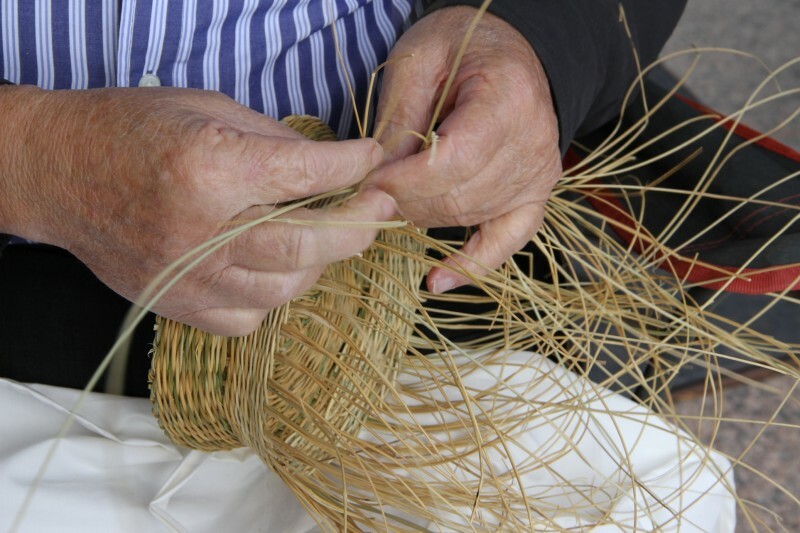 The main fiestas in Archena are held between Easter and the end of June Each town and village in Spain has its own annual..
Weekly Saturday market in Archena..
A history of Archena, a story inextricably entwined with the..
Museo del Esparto, the esparto grass weaving museum in Archena.. The municipal sports complex of.. 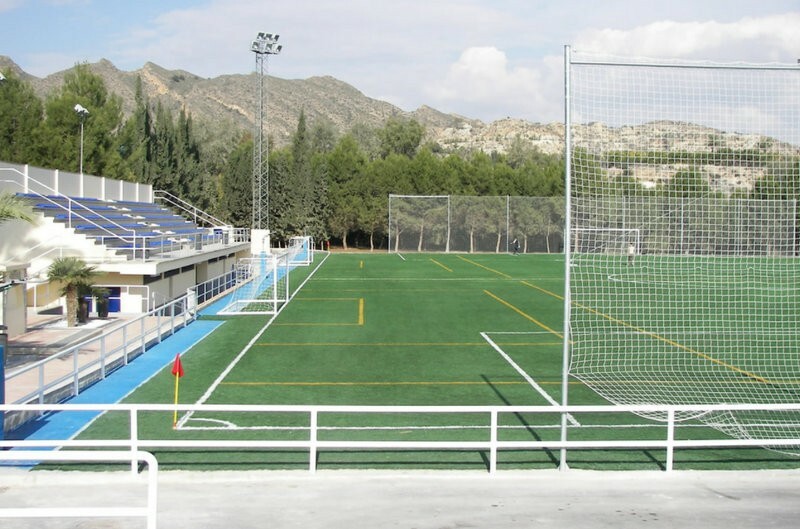 The Polideportivo is alongside the River Segura in the north of Archena The municipal sports complex of Archena provides.. 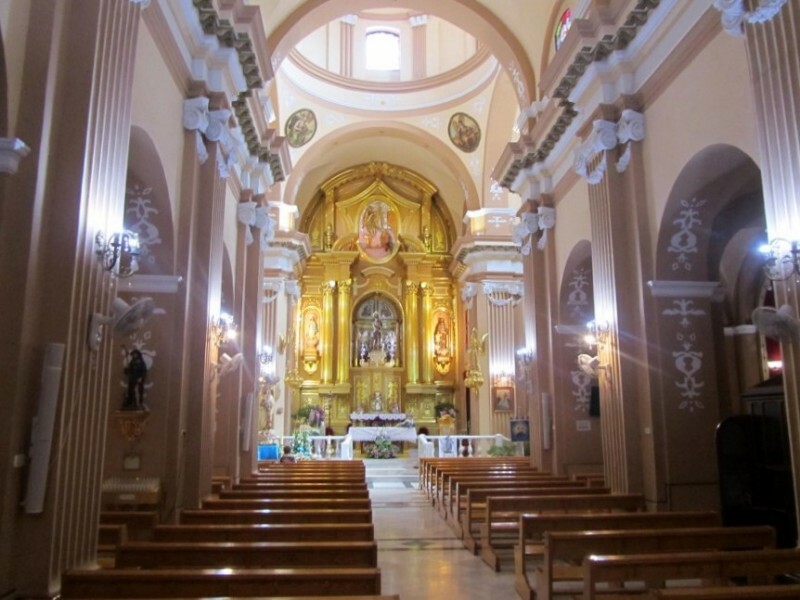 The church of the Virgen de la Salud in the Balneario of Archena.. 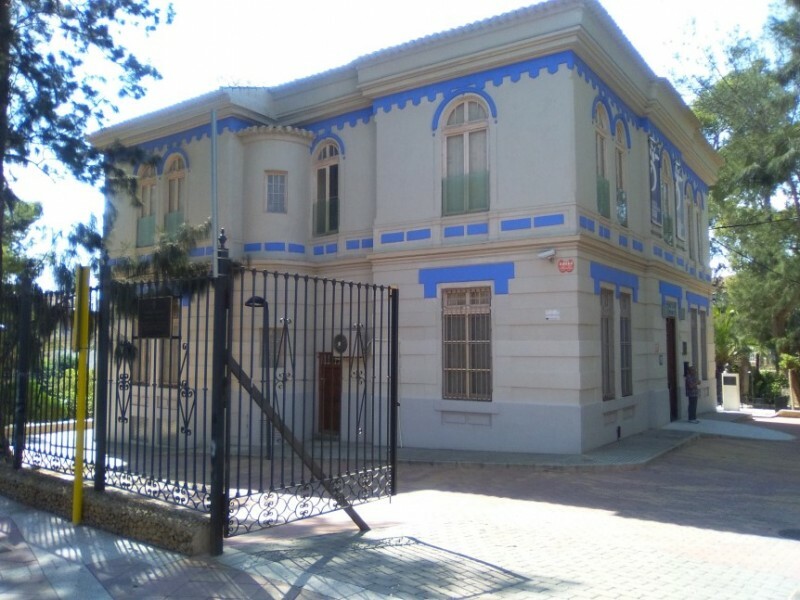 The Palacete de Villa Rías, home to the esparto grass museum.. Thermal baths, spa circuit, swimming pools and beauty treatment..
A history of Archena, a story.. The spa and the river in Archena have attracted settlers for at least the last 2,500 years The municipality of Archena..
Museo del Esparto, the esparto..
Esparto grass exhibits from traditional baskets to scale models of Archena and a bikini! The Museo del Esparto in Archena..